Creating complex data structures (hashes of hashes of arrays of hashes of arrays....) is easy in Ruby. Unedrstanding what we have on our hand can be a bit more difficult. Perl has a build in modules called Data::Dumper that can be used to pirnt complex data structures, for example when debugging Perl programs. 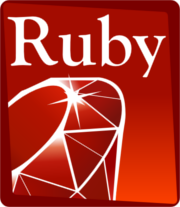 Ruby has pp, the Pretty Printer for the same purpose.